My client for this cake had seen my previous soccer cake and told his mother that was the only cake he wanted for his birthday. 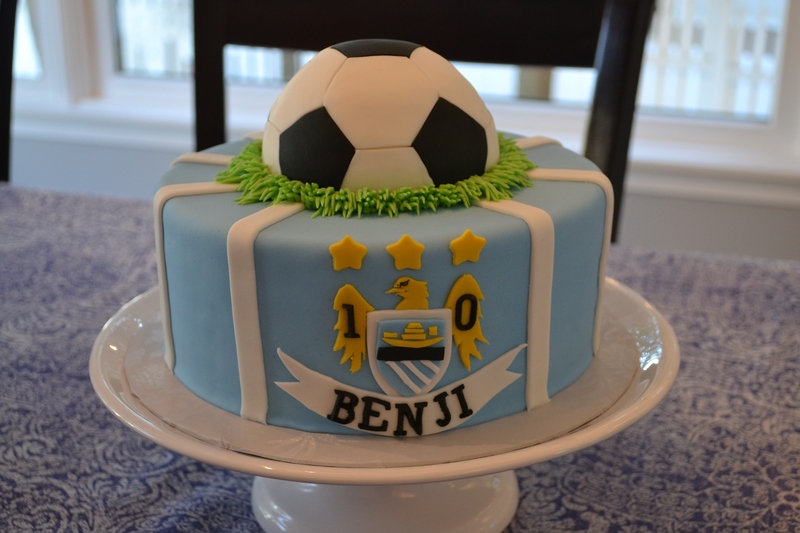 To personalize it, his mom told me that his favorite team was Manchester City and asked for the base color to be light blue, the team color. I looked on line to see what shade of blue it was, and it was at that time that I saw the crest for the team. I knew that I wanted to incorporate this into the cake and decided it was a good place to put his name and age. As I’ve said before, I always do my best to not just recreate a cake that I have already done, but to really personalize it for the client.